Facial trauma can cause extensive damage to the face, both cosmetically and structurally. These injuries can be skin deep or affect the underlying bone structures of the face. At the Beverly Hills Center for Plastic & Laser Surgery, Dr. Ben Talei, a dual board certified facial plastic surgeon, is the specialist patients turn to for treatment for facial trauma. No doubt about it, facial trauma can have devastating effects. While immediate treatments for facial trauma typically take place in an emergency room, patients often need the skilled hand of a plastic surgeon to perform facial reconstructive surgery in order to restore their face to its natural state. Typically, Dr. Talei will need to see an x-ray of the injury to get a full understanding of the extent of the damage and begin planning the needed procedures. Patients should understand that multiple procedures may be required to fully restore the facial structure and cosmetic look. Not only will he need to hear more about how the trauma happened, but he will also want to hear the personal goals you have for the end results. Treatments for facial trauma can include procedures to reshape the skull, face and jaw through bone grafts and prosthetics, tissue transplants and even rhinoplasty. All of these surgical procedures should be handled by a highly trained and skilled facial plastic surgeon. Dr. Talei is an industry leading physician in plastic surgery and cosmetic treatments. 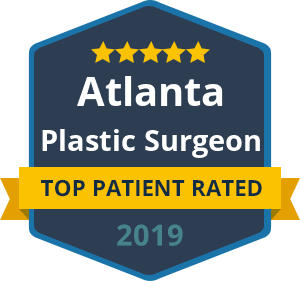 He has dual fellowship training in facial cosmetic and reconstructive surgery and vascular birthmarks and congenital anomalies with laser surgery, along with an artistic eye and delicate hand in surgery. His goal will always be to achieve the patient’s goals with completely natural results. If you would like to learn more about the treatment that Dr. Talei offers, contact our facial trauma treatment specialists at the Beverly Hills Center for Plastic & Laser Surgery and schedule your consultation today.